I am pleased to offer this very fine double bellied 6 1/2" baptismal bowl, attributed to Thomas D. Boardman of Hartford, CT circa 1840. 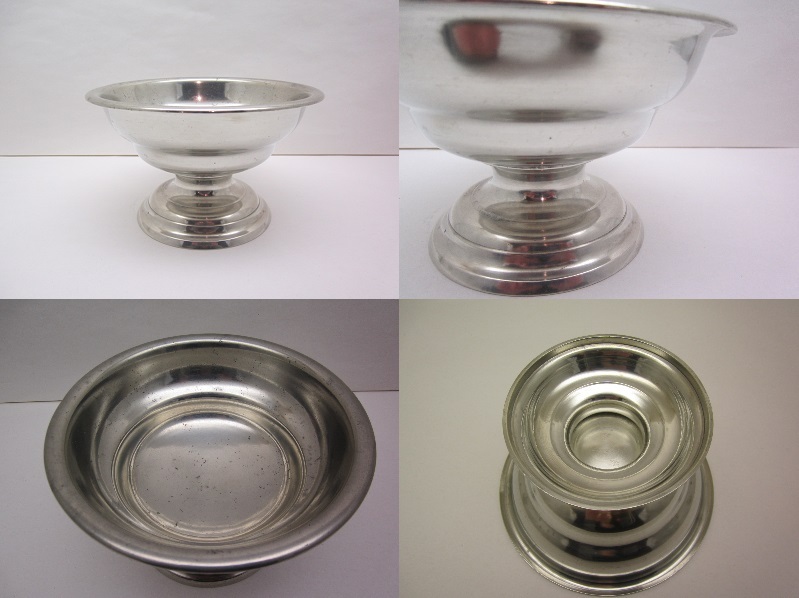 The unmarked bowl is in near new condition and has been well cared for. It stands 4" tall. This form is rarely found and this is the only one I have ever handled.